My best, conservative, estimate is that since 2009 I’ve built roughly 30 backpacks, and owned a further ~20, which were either purchased retail or given to me for review or prototyping. This is a large number, especially considering that at the moment we only (!) have eleven packs in house, a mere two of which predate this period of my backpack obsession. There have been a handful of bags that made it to the finished stage but due to flaws in conception or errors in execution never made it into the field, but otherwise all of these approximately fifty packs have seen significant miles, before they meet the inevitable end of sale, modification, or scrappage. On the one hand using all these has been a joyful and educational process. My original pack had a lot of things in common with the ones I’m building today, but it also demonstrates how much I’ve learned about fit, suspension, and features. 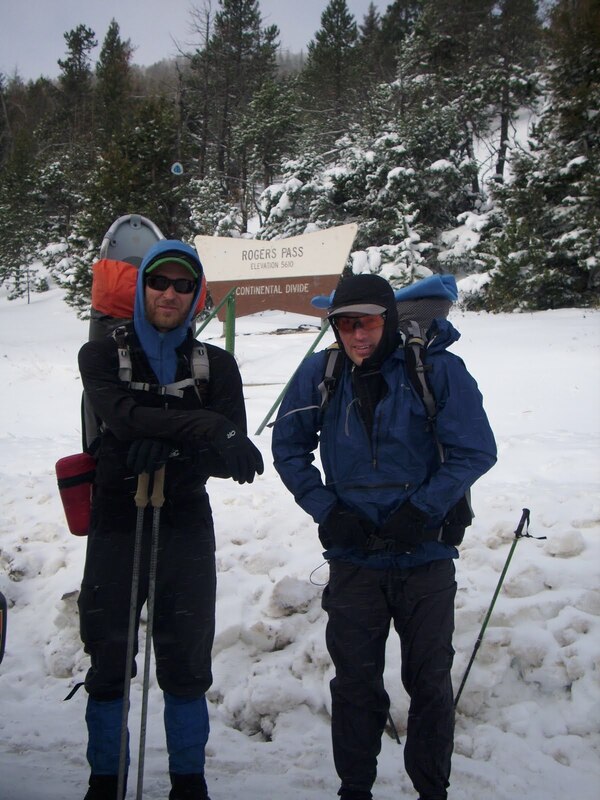 I used that pack, with its thin shoulder straps and 1.5″ webbing belt for my very first traverse of the Bob, and while I did fine sustainable load carriage was highly dependent upon shoulder strength and a willingness to suffer. While I have the umpteenth package from Rockywoods arriving shortly for yet another pack modification, I find myself with less time for uninterrupted sewing than ever before, and a marked desire to sort out the pack quiver and be done with it, at least for a while, opening up a bit of space in the closet in the process. I could make due with two packs for everything, especially now that the majority of outings require the added bulk of a diaper bag. The first would be a very large one on the Seek Outside suspension. That end of the quiver is undergoing revision, and will be discussed in an upcoming post. The second pack would be a tall, slim pack around 30 liters, one that can serve as a daypack for just about any size outing, as well as light duty overnights. This is the pack I’ve built most often, and written about frequently, so imagine my surprise when the most recent version, which was built from scraps and whose dimension were in some ways a matter of accident and circumstance, is the best yet, and might be one I can live with for a few years at least. Similar things could have been said about the very first pack in the 610 series, the white pack in the first photo series,and had I been smart enough to leave that bag alone once I got a satisfactory pair of shoulder straps on it I likely wouldn’t have enough content to make this the long post that it is. Unfortunately I didn’t bother to write down the precise dimensions of that packs panels, so I can’t be sure what made it so good. The vital ingredients were a thin but not too thin profile, curves that ran in all three dimensions for good aesthetic and definitive snag-proofing, and a gentle increase in circumference from top to bottom, for easy loading. That was also the pack where I discovered curved side panels, a crucial feature which I did not invent (our Cold Cold World Ozone has a mild version) but did publicize, and which a few companies have since adopted. I eventually revised the futzed that DX 40 pack into oblivion, which was fine as that fabric had a fatal flaw. Several similar packs followed, some of which I have no photos of, as well as a few like the Gossamer Gear Gorilla which were different in size but ended being influential in suspension or features. The Gorilla and the blue and green VX07 and 210 denier gridstop pack both reminded me that burly fabrics and a clean exterior are beneficial for a pack which will get used all the time, as both were fatally shredded in separate outings in Utah slot canyons. The 2014 version of the 610 was supposed to be my return to the original, with the addition of a few key features like a full side zip and luxury shoulder straps (from the deceased Gorilla). The mix of VX42 and X51 fabrics worked well, but I screwed up the hipbelt attachment and got a little too fancy with the panel shaping, and after a year of solid use the lure of the scrap bin was too great. All things fabric are subject to change, but the latest version of the 610 is the best yet. The versatile suspension, discussed here, has proven to be excellent. Without stays or belt the pack is light and flexible, and with them (how I run it the majority of the time) it can carry anything I’m likely to put in it, including 35 pounds of water and fleece jackets for training walks. Most importantly the panel dimensions, discussed in detail here, are perfect. I did change the main side zip out, replacing the #8 coil with a dual slider #10 aquaguard (taken from the now defunct Stone Glacier Solo). The #8 slipped teeth on a few occasions when closed with force, compelling evidence that it wasn’t going to last. I also switched out the aluminum hook buckle for the top strap for a little plastic triglide/carabiner hybrid, which came with the Kuiu Ultra 1800 I purchased on sale a few months ago. The nice thing about this is that it can be detached with one hand (though not with gloves), but unlike the hook stays put when the top strap is loose. Unless I’m lashing something large on top, I usually just loosen and then slide it to the side when opening to drawcord. Finally, the refinement of attaching the top strap with a three-bar slider has the unexpected benefit of allowing said strap to be shortened and the excess tucked down inside the back panel, thus allowing you to both have a strap long enough for anything you might carry, as well as a strap which doesn’t flap like mad in the breeze when no excess cargo is being carried. The whole point of making your own packs is to have exactly what you want; it certainly is not a good way to save either time or money. While in the end the benefit to me has been deepening my knowledge, it is nice when years of practice gives you something that works as well as this pack does. Always enjoy your gear thoughts and development of design concepts. Hope it carries your kit into some superb destinations this year for you. Cheers Martin. My hope for others is they find this useful. Hope for myself is I can simplify things without doing violence to the learning process. I reckon I’m finally getting towards the 80% knowledge mark with packs. Generally I don’t find myself much interested in pursuing that final 20, in anything. I like the looks of this pack. While I’m not as in to experimenting/building packs as you are, my current favorite is dying and the time will come soon to build another. Curious, what system are you using to attach your bottle to the shoulder strap in a few of those pics? Recommended to read your writings to find inspiration/information on MYOG backpacks and have found myself surrounded by a wealth of knowledge. I am still working through the MYOG tagged posts; would you recommend any specific posts to help someone start trying to sew a pack very similar in design to your latest 610/white one? I saw some comments about maybe posting specific instructions/plans but have not ran across them yet. I also want to say I mourn that you have left the great state of Montana, I had a source of knowledge so close and never knew. Thanks for any help! A good, difficult question. If you search “610 pack” in the sidebar you’ll get a series of posts on how that design has evolved over the years, which might serve as well as any in terms of your own design. I’ve yet to do that post about sewing techniques, and while I won’t post a pattern or anything (we’ll be selling similar at Seek Outside in 2017) some specific thoughts on technique would be helpful. I’ll put it in the cue. I appreciate the reply. Definitely will keep an eye on the Seek Outside line to see what y’all push out, and any technique advice is surely appreciated. Thanks!